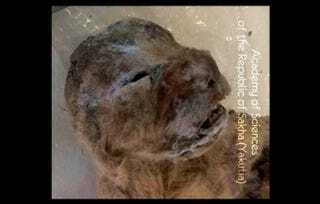 Anyway, just a few weeks ago at the end of October, Russian scientists announced that they had found two cave lion cubs preserved in the ice of Siberia. The cubs are noteworthy because of how well preserved they are and also because previously scientists had only been able to study the species from fossils (and not other means). The research team that announced the find is going to have a formal press conference next week on November 17.